Explosive Battalion operating in al-Raqqa, related to the Internal Security Forces and its security apparatus, managed to dismantle and destroy a large quantity of mines and mercenary remnants, in the current July 24-26. 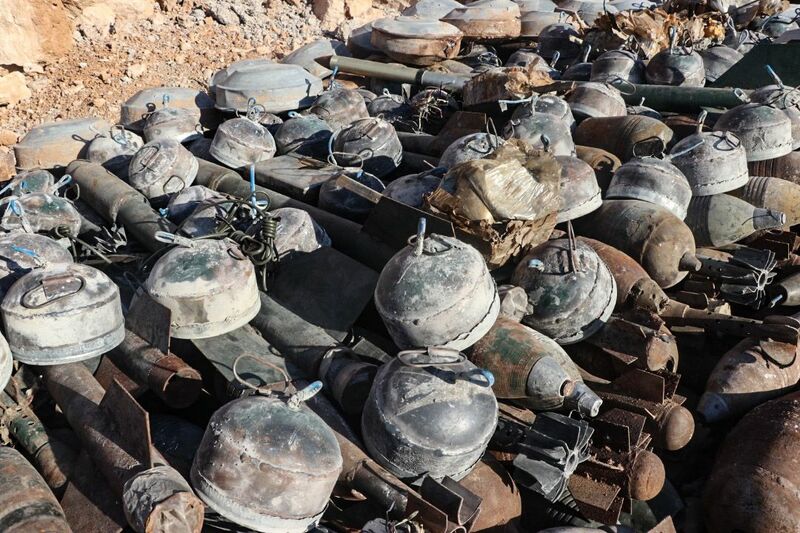 According to the explosives expert and supervisor of the battalion's work, they were able to dismantle more than 300 mines and an explosive body in two days, planted by IS mercenaries throughout the city. The mines that have been dismantled and removed are: "laser mines, anti-armor, individual mines and others, local rockets and mortars." These mines, which were a threat to citizens, were removed from several neighborhoods and schools in al-Raqqa area, as well as some agricultural land.